A community gathering together is a powerful and magical experience. 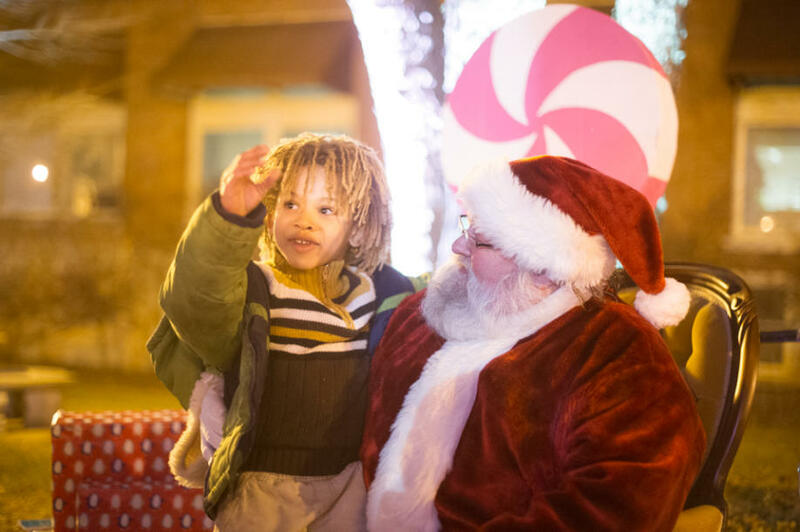 For the past three years, Stroll on State (presented by Illinois Bank & Trust) has provided a place, an experience, for friends and family to gather and celebrate the start of the holiday season. Like many events, Stroll on State has the regular fanfare and its own version of pomp and circumstance – a parade, fireworks, music and revelry. Stroll on State (which is always the Saturday after Thanksgiving -- this year on Nov. 26) is so much more than simply a festival; more than just a fun night for the community. Stroll on State is a reflection of our community. Stroll on State provides us an opportunity like many of our cherished holidays – the opportunity to look back with appreciation and forward with anticipation. Behind the scenes, our downtown shop owners spend months preparing for the night in hopes of bolstering their small businesses with what many of them call their 13th month. It takes a lot of late nights and favors asked to make their shop tip top for the event. Our performers practice and plan so that the celebration is just right – from school kids performing with their school band to community theatre groups providing the perfect show. Volunteers give of their time and talents not just to help the night of the event, but also year-round attending committee meetings, helping at workshop nights building decorations, and planning the special activities that will make the night memorable. Stroll on State reflects the spirit of Rockford, a city eager to see its community rise to new heights. A community that is ready to build back up what was too long neglected. For some of us what was neglected was our downtown neighborhood; for others, perhaps the community in general. But what is great is that we are no longer ignoring what needs to be rebuilt; we are actively rising up to the challenge and not accepting defeat. We are persevering together and helping one another for a shared vision of being the best we can be. These stories are why Stroll on State is so important to the community. The event is about experiencing the awe and wonder of the holiday season, but it is also about experiencing the awe and wonder of what a community can do together. How a community can learn from the difficult moments in our adventure and find success when we lean on each other for help. How a community can rise up together. We hope that you join us again this year as we celebrate Stroll on State, and our community, on November 26 in downtown Rockford. Learn more about this year&apos;s Stroll on State celebration at www.strollonstate.com.